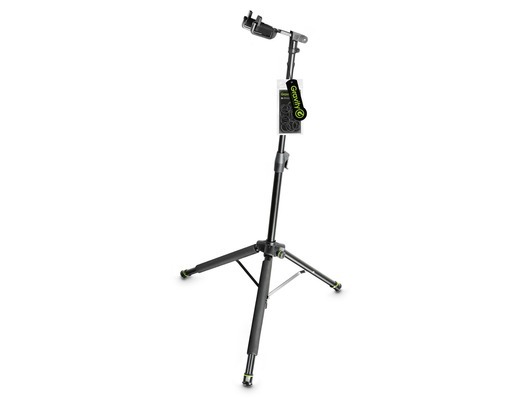 The Gravity GS 01 NHB is a great quality folding guitar stand for acoustic, electric and bass guitars. 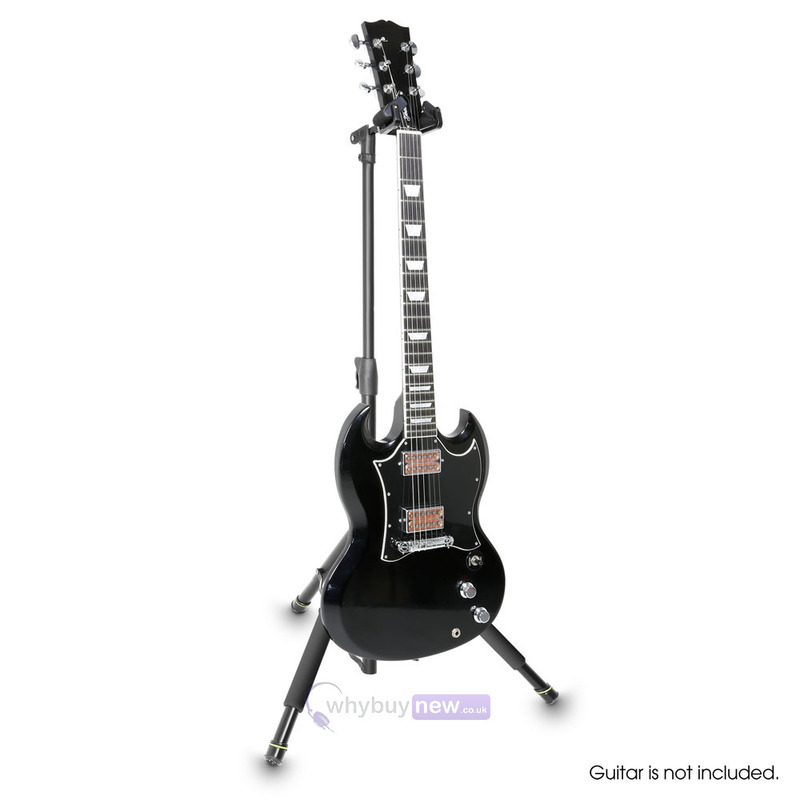 It features Gravity's innovative 'neckhug' technology with a swivel mechanism that automatically secures the guitar and holds it firmly in place. 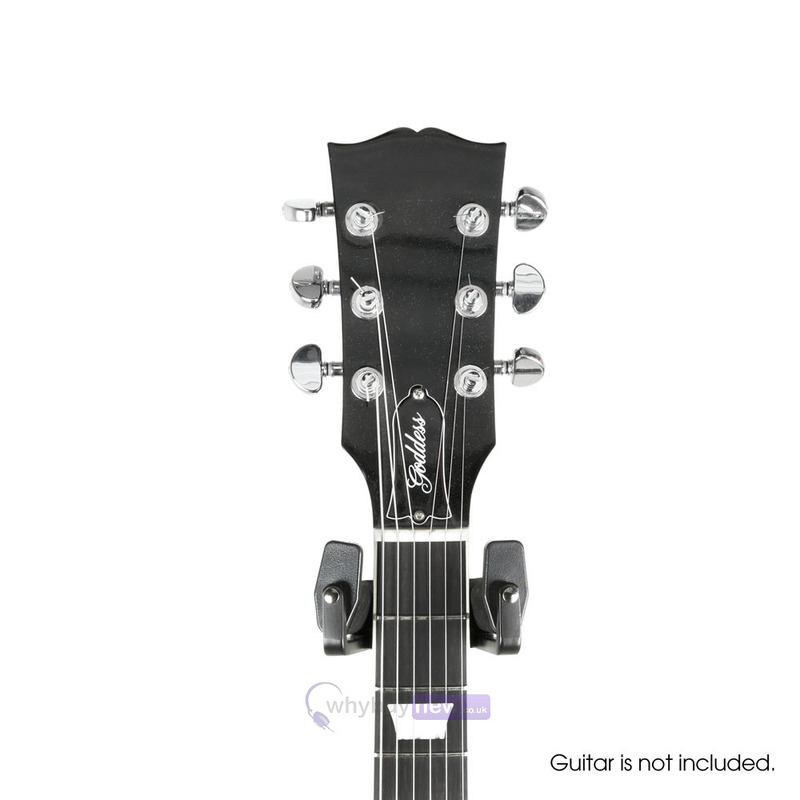 The locking wings open again when the instrument is lifted from the stand. 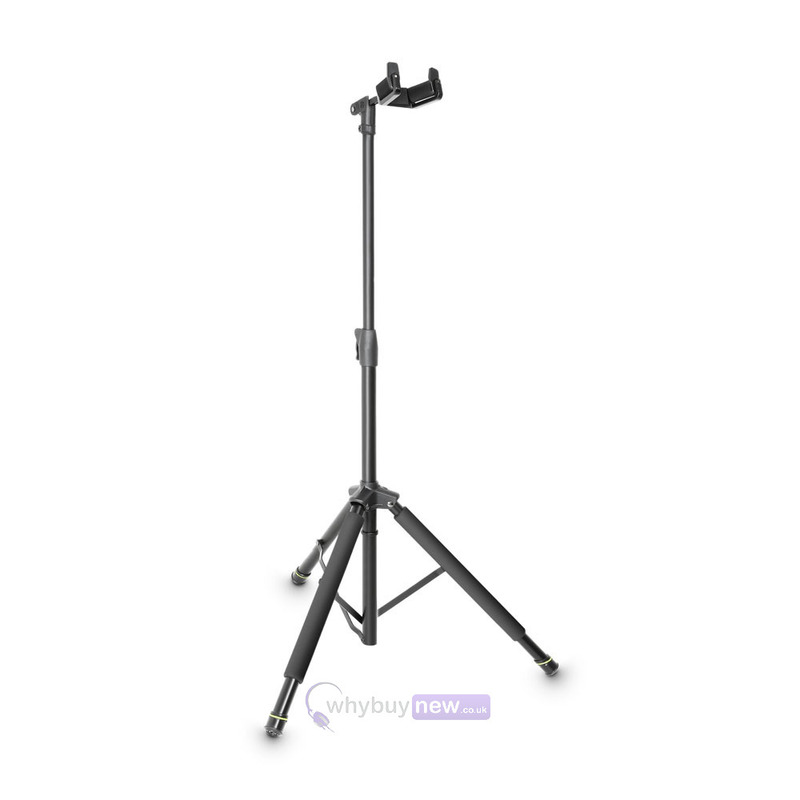 It is easily height adjustable to a maximum height of 108cm using the quick release clamp, and can be folded up to a compact 68cm. 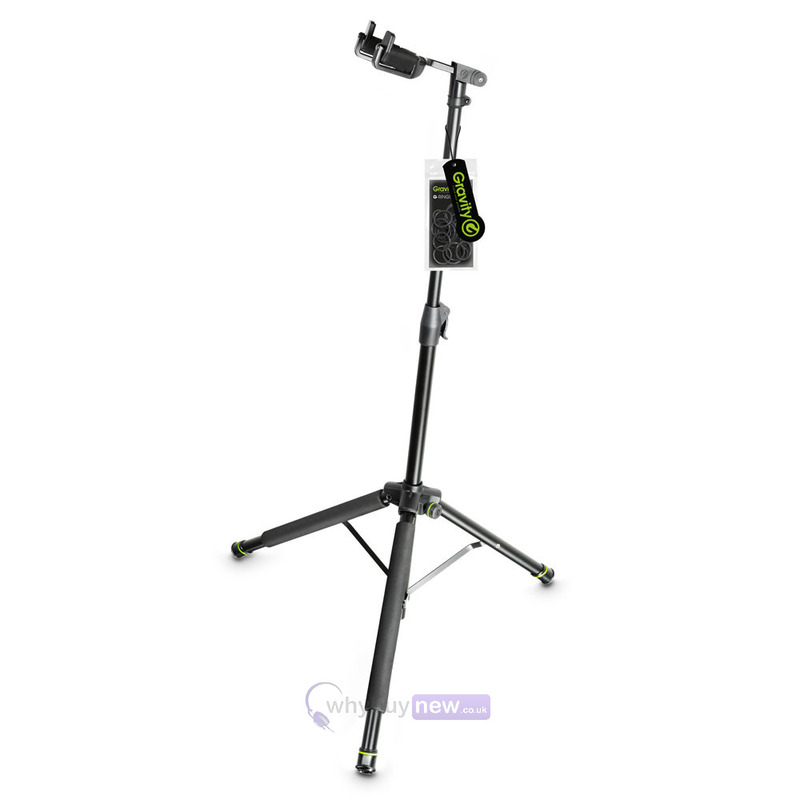 The protective foam padding on the legs of the stand prevent the guitar from being scratched. 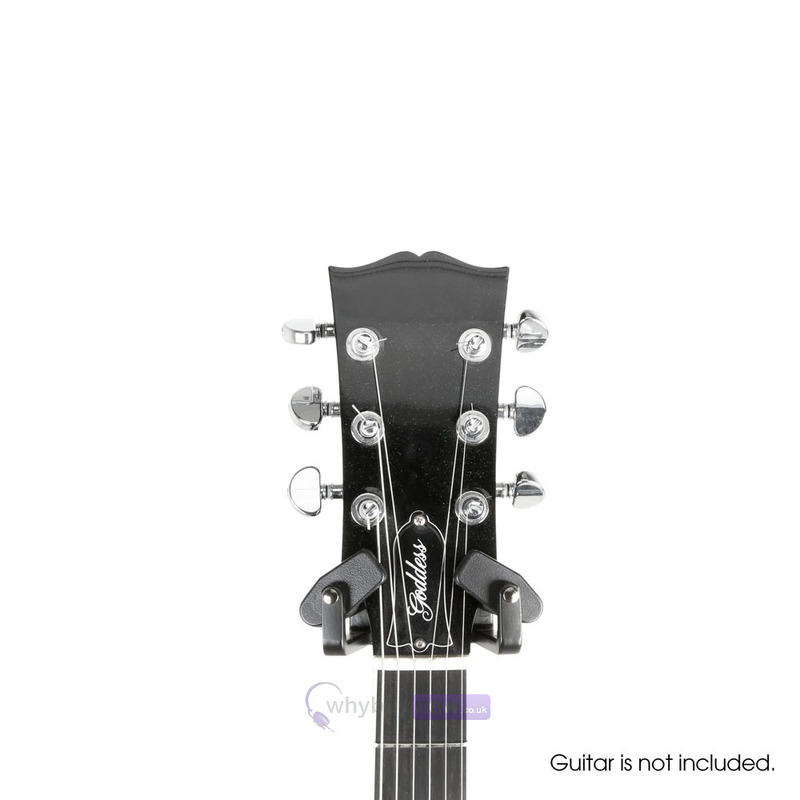 Not recommended for guitars with nitro laquer.